For many sorghum is a new food, but actually it's been an ancient grain native to Africa for many thousands of years. Today, sorghum is grown and used worldwide and is Australia’s third largest crop. Sorghum can add a delicious nutty flavour and texture to your breakfasts, salads, or meals. Try starting your day with a breakfast cereal containing sorghum, or cook sorghum grains into a warm creamy porridge. Sorghum can be cooked like rice, popped into popped sorghum (it looks like popped corn but smaller), and sorghum flour can be made into sorghum flat bread or tortillas. Sorghum grain can be prepared just like rice, barley, quinoa or other wholegrains. You can cook it in a rice cooker, slow-cooker or on your stovetop. Cooked sorghum grains can be easily stored in a sealed container in your fridge or freezer to reheat and reuse later. 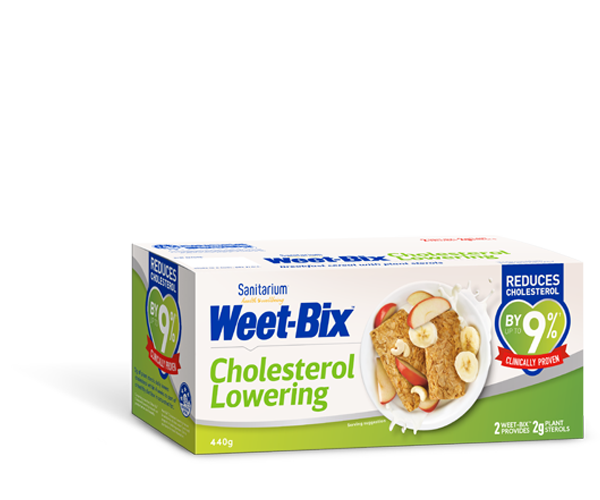 Sorghum cereal biscuits, grains and flour are slowly becoming more available in local supermarkets across Australia and New Zealand, especially in the breakfast or health food isles. But if you’re struggling to find it, try buying your sorghum from health food stores or an African or South African food store. Sorghum is a quality wholegrain, providing important nutrients including protein, dietary fibre and a range of minerals and vitamins. Sorghum is gluten free and provides a fantastic option for those with coeliac disease or gluten sensitivities. It keeps you fuller for longer and helps with blood glucose control and weight loss. It helps to keep your cholesterol low and reduce your risk of heart disease. For a healthy gut and reduced constipation. These include B vitamins, iron and zinc. They're rich in phenolic compounds, flavonoids, and tannins, which can help to protect your body from chronic diseases like heart disease and diabetes. Stefoska-Needham A, Beck EJ, et al. Sorghum: an underutilised cereal whole grain with the potential to assist in the prevention of chronic disease. Food Rev Int 2015;31:401-437. Stefoska-Needham A, Beck EJ, Johnson SK, et al. Flaked sorghum biscuits increase postprandial GLP-1 and GIP levels and extend subjective satiety in healthy subjects. Mol Nutr Food Res 2016;60:1118-1128.